A lot of emotions have run through BJ Penn’s body since losing the lightweight title at UFC 112 to Frankie Edgar this past April, but now he’s just simply ready to compete. With the rematch he coveted looming at UFC 118 on Saturday night, the Hawaiian is out to prove that he’s a fighter, title or not. The former 155-pound king admits the high expectations people had of him since earning the moniker of “The Prodigy” has been a difficult thing to live up to. “When you come out and you start beating people the way I did 10 years ago, people are naturally going to think that you’re going to have a great career,” Penn said. “I think that all the pressure people put on me over the years, that’s what makes me who I am today and I regret nothing. Every time you lose you come back stronger. So how did Penn regroup and get himself ready for the career-defining bout that he’s going to face inside the TD Garden in Boston? “I was sitting there and everybody just concentrates on the physical and I started to think about it, ‘that’s not even half the battle.’ You got the mind, body and spirit. I’ve just been trying to live my life as a complete human being and not just a fighter. I think this is the right path for me,” the lightweight explained. 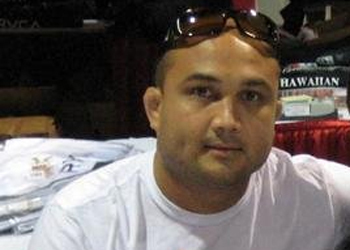 Prior to his last outing, a motivated BJ Penn was the most dangerous thing the division had to offer. Based on what he was saying during today’s presser, to say former champ is pumped would be an understatement. “I feel like I’m going to blow a lot of people away on Saturday night and they’re going to be surprised at who BJ Penn is,” the Hilo native predicted.